One of the most important Facebook groups ever!!! It is an offence to drive with THC present in your saliva. 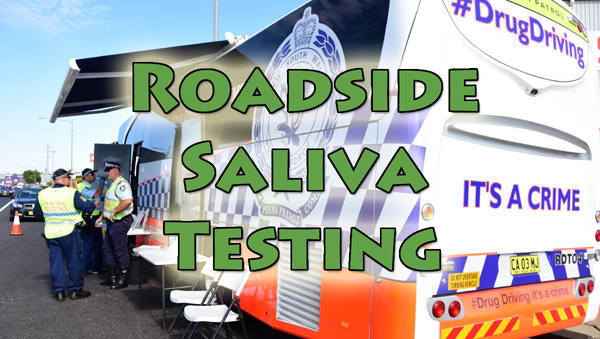 Police can stop a driver for no particular reason and require them to provide a saliva sample. If there is any amount of THC found in the sample, the charge is made out. The police do not have to prove that you were impaired to any degree in your ability to drive. And the police do not have to prove that you intentionally drove with THC in your system. But it is a defence to the charge if you honestly believed that you did not have THC in your saliva at the time you drove and that there was reasonable basis for you to hold that belief. That is, the court must accept that you genuinely believed what you say you believed. The court must also decide that an ordinary person would consider it reasonable to believe that there would be no THC present. The NSW Government Centre for Road Safety website states that the period of time that drugs could be detected “depends on the amount taken, frequency of use of the drug, and other factors that vary between individuals”. The website goes on to say that the saliva test would “typically” detect THC for “up to 12 hours after use”. Once the defence of honest and reasonable mistake of fact is raised, the prosecution must prove beyond reasonable doubt that the driver did not honestly have such a belief or that the belief was not reasonably held. Obviously, the court would decide on those issues in the particular circumstances of the evidence in each case. The Police understand that we are engaged in peaceable and law abiding protest and many of them secretly agree with our cause. But they are coppers. They can’t talk for themselves while they are at work. 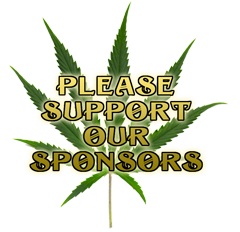 If they see cannabis they will confiscate it and issue you with a caution notice or a summons to appear. They will bust you if they see you bonging on. So don’t be an idiot! We gather together to protest the laws not get ourselves arrested! The police may try to make it difficult for you to get to MardiGrass. This is a deliberate tactic they have used for a number of years. In the past they have set up roadblocks south of Nimbin at Goolmangar and north near the village and on the Uki road (they may be on any of the approach roads in the days immediately before and after the festival). The Police may breathalyse you for alcohol or swab you for cannabis. If you haven’t had a smoke that day you should be alright (so wait till you get to Nimbin). If you must bring cannabis to Nimbin (sorta like coals to Newcastle) then come a few days early. If you must carry it in a car then put it on the floor under a mat or a seat and don’t ever say “that’s mine” if it happens to get found. We hope to have the Polite drones operating with the latest on the roads. There are several different routes into Nimbin available. The scenery and country is beautiful. The town is welcoming. The event is unforgettable. And if the issue is your issue don’t be put off no matter what. Most of the police officers who come to Nimbin for Mardi Grass treat it as the spectacle it is and merely observe the proceedings because there are seldom any disturbances and they are not needed to keep the peace. Increasingly many police realise this counter-productive legislation has by all accounts, reached its “use by date”. Presently some Nimbin community members are locked in a court battle to stop the roadblocks and raids on Nimbin each year but they do not expect that the action will be decided by MardiGras. In the meantime if you are thinking about bringing illegal drugs with you, be careful of roadblocks. They have three favourite spots – at Goolmangar, on the Nimbin Lismore Road to the south; Blue Knob Road near the cemetery on the road north; east from Nimbin near the corner of Tuntable Creek Road and the road to Mount Nardi. But they could be anywhere! In New South Wales, when searching people or vehicles police have the authority to ask for your name and address, (but not your mobile or other telephone) and you have the right to ask them for their name, badge, (or, if they are not in uniform, their identification), the station from which they work and the reason for the search. While police have the right to search your vehicle and all the people in it for drugs, sometimes using a dog to assist, they do not usually have the right to “strip search” you. Generally, if police try to engage you in conversation or to question you, unless you have a good knowledge of the way the laws operate, you should say as little as you have to.